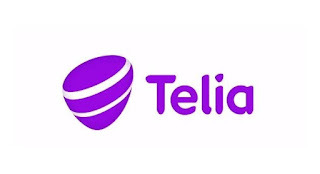 Telia submitted inter alia that it could not be considered liable for the infringements and that a blocking injunction would violate Telia’s freedom to conduct business, freedom of users to take part in information, and the right to ownership of the domain names. In relation to this argument, it added that one third of the domain names do not lead to any site at all, or lead to websites other than those initially claimed. None of the domain names today lead to Dreamfilm, neither did it do so at the time of filing the application. For instance, domain www.dreamfilm.se appeared to have been acquired by someone who reviews movies. The rightholders argued that the evidence submitted shows that Telia provides access to the aforementioned sites and proxies. It should therefore be held liable as an accessory. It is currently not possible to reach Dreamfilm, but the operators behind the service have not announced a termination of the business. Nonetheless, a blocking injunction should be issued against the domain names as users are still able to submit a request for consideration with the Swedish Post and Telecom Authority (SPTA) or intervene in the hearing of the primary case to this interim request. 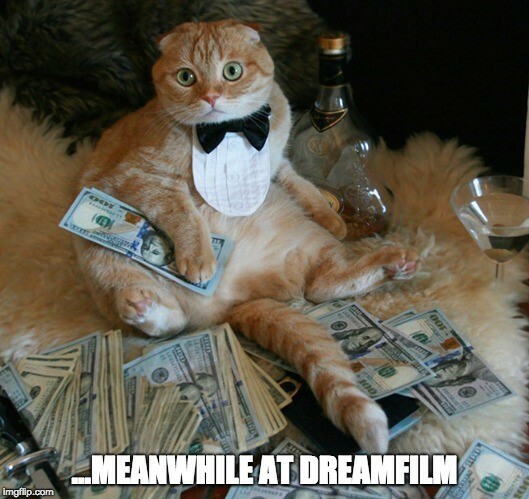 The right holders waived their previous claim with regard to www.dreamfilm.se. In light of decision in case PMT 11706-15 [here], the Court first set out that, when conflicting interests of the parties are weighed against each other at an interim stage, account must be taken of the damages that such a measure would cause, bearing in mind the fact that the final hearing might subsequently result in the partial or total dismissal of the claim. Consequently, the Court emphasized the fact that, in assessing proportionality, the claimant must guarantee the monetary compensation for the damaged incurred in the event that an infringement is considered not to have occurred in the main case. It then went to consider that the Court of Justice of the European Union (CJEU) in C-314/12 (UPC Telekabel) considered that a blocking injunction prohibiting access to certain websites might limit a company’s right to conduct business. However, the CJEU also stated that core of an ISP’s freedom to conduct business cannot be affected by such injunction, if the ISP in question has the ability to decide the concrete measures to take in order to prevent infringement. Accordingly, the rightholders’ interests and the ISP’s freedom to conduct business should be weighed against each other, taking into account the resources and capacity of the ISP and other obligations and challenges in the business (paragraph 42, UPC Telekabel). Adding to the CJEU’s reasoning in Telekabel, the measures adopted by an ISP must be strictly targeted, in the sense that they must serve to bring an end to a third party’s infringement of copyright or of a related right but without thereby affecting internet users who are using the provider’s services in order to lawfully access information. Failing that, the provider’s interference in the freedom of information of those users would be unjustified in light of the objective pursued. It must be possible for national courts to check whether that is the case. If the ISP adopts measures which enable it to achieve the required prohibition, the national court will not be able to carry out such a review at the stage of the enforcement proceedings if there is no challenge in that regard. Accordingly, in order to prevent the fundamental rights recognised by EU law from precluding the adoption of an injunction such as that at issue in the main proceedings, the national procedural rules must provide a possibility for users to assert their rights before the court once the implementing measures taken by the ISP are known (paragraphs 56 – 57, Telekabel). According to the Court, it follows from the CJEU’s reasoning in Telekabel that users should have the right to make their right to information considered in the event that a blocking injunction would leave room for an ISP decide over what measures should be taken in the event of infringement through its services. In such event, the Court should be presented with an opportunity to assess whether over-blocking has occurred. In light of the foregoing, the Court considered that it is appropriate to balance freedom of information before an interim injunction issued by the court. The mere fact that a user is able to submit a request for consideration with the SPTA or even intervene in the main hearing, does not have any relevance in light of the criteria established in Telekabel. The Patent and Market Court of Appeal in case PMT 11706-15 [here] placed significant emphasis on the fact that the ISP’s service – at least in principle – exclusively related to enabling of unlawful availability of copyright protected works. Thereto, it appeared to be no risk that the user’s freedom of information would be curtailed by over-blocking, and the question of whether there was a possibility for third parties to intervene was not really considered. In light of the foregoing, the extent to which copyright-protected works are made available through the relevant websites and through the domain names and the amount of which – taking the content available on the platform as a whole – is comprised of copyright protected works, should be considered as part of the proportionality assessment. The Court noted that the rightholders’ claim regarding dreamfilm.se had been waived and that the site has now also turned into a lawful service. Furthermore, it must also be taken into account that several of the domain names which were claimed by the rightholders lead to other sites than originally claimed, or not to any website at all. In the Court’s view, the rightholders were not able to disprove this point. Therefore, it was not considered proportionate to issue an injunction regarding the list of domains submitted by the rightholders.